The Wyatt Earp still works great (after 3 years). Haven't shot it with anything high powered, but it has taken a couple of .22 hits. No damage, except to the paint. Best target stand I have ever had…simple and rugged. PS: I like the new target backers. They are easier to work with than the old roll up cardboard and seem a little tougher. As for your target stands, the only problem I see is that they hold up so well, you only get to sell one per user. I hope others will try your products out and see for themselves. I received a card from you a while back and just wanted to let you know that I really like the Target Meister that I purchased from your company. I had concerns about getting a longer base so the wind did not tip it over, but went with the shorter one as it would be easier to pack in the car to go to the range. There is enough stuff to fit into my small car. Glad I got the shorter one, the wind has never been a problem, it works great. I like the way it can be used any width of cardboard as well. Hard to use at this time as it is "Below Zero" in Minneapolis right now. Could use some Arizona time. Keep up the good work, we love the product you produce. Thank you for asking about the change to 18x30 and 30x30 in lieu of the 18x48. I have no problem with that and appreciate your taking the time to check. I love not only your beautiful products, but the considerate way that you run your business! I am sure that Target Meister will continue to be a huge success not only because of its excellent products, but perhaps even more so because of your phenomenal customer service! You spoil your customers for all other Internet retailers! My Dirty Harry target stands arrived about 30 minutes ago. They're a work of art and I'm glad I spent the extra $ to buy them. My friend and I shoot at a local outdoor range that's family owned and managed. There are two range shelters that will accommodate up to 8 shooters/each. One shelter is for members only, the other is for pay-as-you-go shooters as space is available. It's a beautiful setup, but the target stands are home made of 2x4's and 2x2's - heavy, wobbly, and full of splinters from errant hits. At my age (79), carrying one of those things out to the 100 or 200 yd. mark is hard work. Especially if the sun's up high and the temps are over 90. Your target stands are going to extend this old shooter's range time. I have a small flat bed wagon that I can load the stands and furring strips on; pulling them out to the 100/200/300 yd. mark with ease. If my son is in town we can spread the stands, mount two targets, and he can pull the wagon. How great is that? Bottom line? Your target stands bring a lot more value than you might think. Thank you for making my future range trips something to look forward to. I am extremely happy with the obvious high quality of workmanship that has gone into the manufacture of this product. Also, I was pleasantly surprised at the very quick process and delivery time of your product. I have already forwarded your link to all my e-mail friends and relatives with high recommendation. Thanks again for a great product. I received my Wyatt Earp stands yesterday, thanks for the fast shipping. I have a question about the stakes. One stand came with 4, the other 2. How many are supposed to come with each stand? I will be taking these to the range shortly. Having previously purchased the Dirty Harry stand, I'm sure I will enjoy these just as much. My friends and I love how these lock the furring strips into place. Keep up the great work! He loves it. He's used it several times at the range and intends on buying a few more. He was a Marine. He says it's simple, stable and a "great piece of gear". That's about the highest praise you'll ever receive from him. 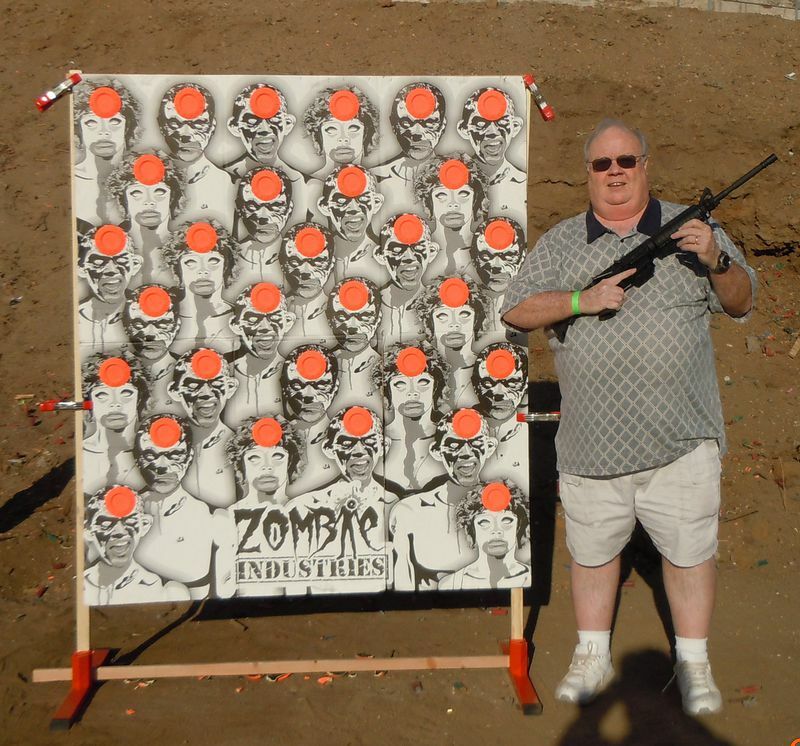 I bought a huge (60 by 72 inches) zombie target from ZMBIndustries as we like to shoot with friends. This stand is perfect for this target. Got several questions about where I got the stand and target. I guessed I would so I had printed up copies of the link to you and ZMB. Several wanted your web address, maybe you'll hear from some of them. 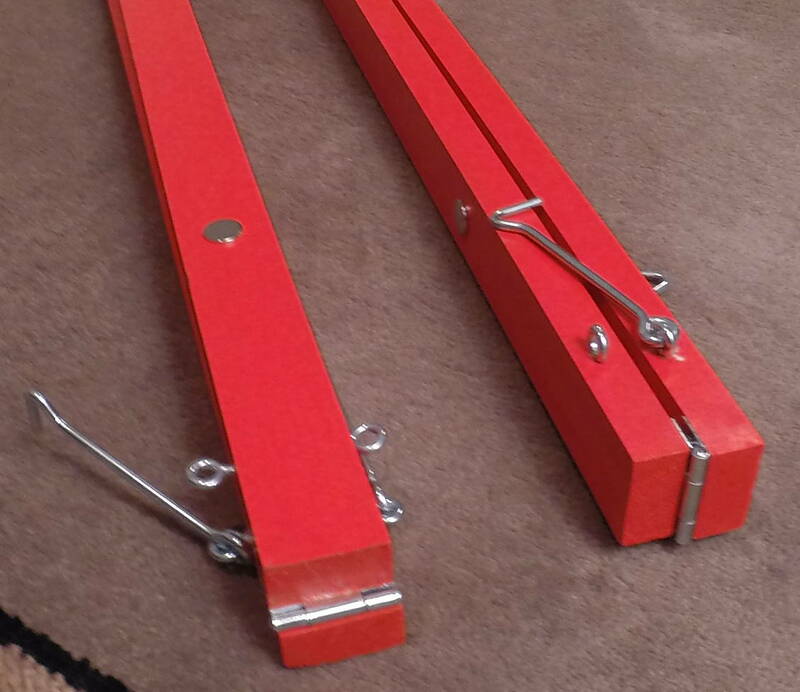 I really like how stable the stands were with the longer boards. Used some cheap clamps (Lowes $2) to hold the target. Fortunately, my wife and I didn't take any of them out! I am part owner of a tug boat repair company here in NY Harbor. I know good metal working when I see it. Your stand is a genuine quality product that will last many years in a tough environment. I throw mine in the back of a pick up truck, drag it into the woods and shoot at it. When I stop shooting, I will give it to my nephews for another lifetime of service. Thanks for caring and keep up the good work. I couldn't be more impressed with your Dirty Harry target stand. I'm pretty sure it could withstand a direct nuclear hit. I'm sure I'll be the envy of the range. I have used the stand and I absolutely love it. The design, the quality, and the finish are all top notch. I would highly recommend this product. Looking forward to warmer weather so I can take my boys shooting again. Many thanks for the target, I had the opportunity to use the stand this weekend, and I have to tell you, it was the best! Easy to put up, easy to take down, everything worked like a charm, and that is rare in this day and age! PS I don't know if it's helpful - but I went to home depot to buy the wood to use with the stand, I bought what was listed as 11/16 X 1 3/8 and it fit perfectly - some customers might be confused while looking for 1X2s. At any rate, the Wyatt Earp stand had me covered with the unique feature you have going on the posts where it holds the wood perfectly secure, yet making removal quite easy as well. I was finally able to get out and use the target stand and it worked great. I only got to try it in about a 10 mph wind and it held up just fine. As soon as I find a new shooting place I'll try to test it in higher wind. It seemed to work well in uneven terrain as well. I used a piece of cardboard stapled to two furring strips and a highpower 300 yard target on that. The pieces are light enough to carry out 500 yards into a field and set up with no problem. I'm sure I will get many years of use out of the stands. I have been using the target stand regularly and it has been amazing! Great how it fits in my hatch back without taking up to much space. 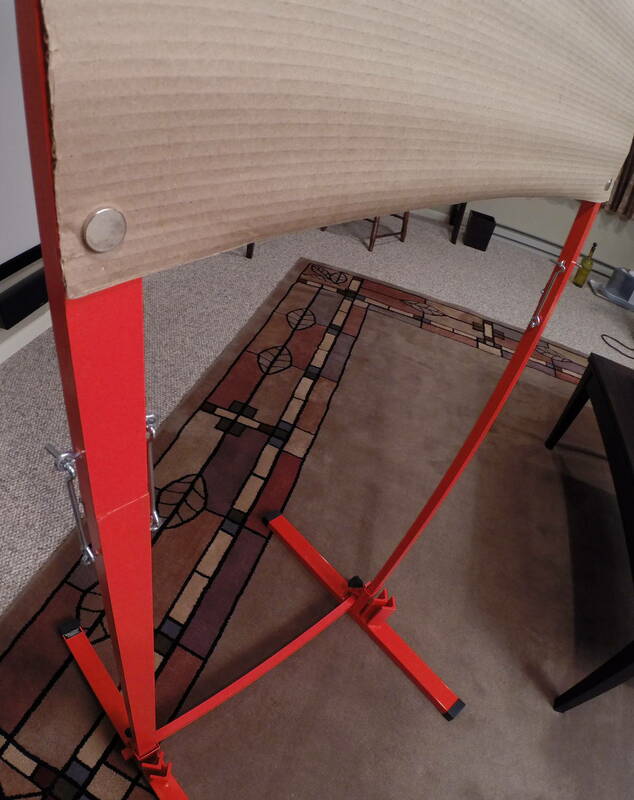 Hi Clint - I have indeed used the stand, and it is an absolutely excellent product. I am most pleased to have found it. The target stands are awesome. I really like them and they work great and are easy to transport. I just leave them in my truck all the time. Thank you again. Great product!! The stands have worked perfectly for me. I use the Dirty Harry stands for my long range rifle and setup the Wyatt Earp stand for closer range pistol practice. All my shooting is done on a West Texas ranch so we have a bit of wind at times. Obviously, the Wyatt Earp stand can be anchored with the self-contained pegs. I use 25 pound sand bags to stabilize the Dirty Harry stands. Initially, I ordered the rollup cardboard for backing but I have found the more rigid rectangular pieces of cardboard work best for me. I can shoot many rounds before I have to change the backing. Clint, your product is quality and I am pleased to be one of your customers. Merry Christmas to you and your family and I hope you have a blessed year in 2014.